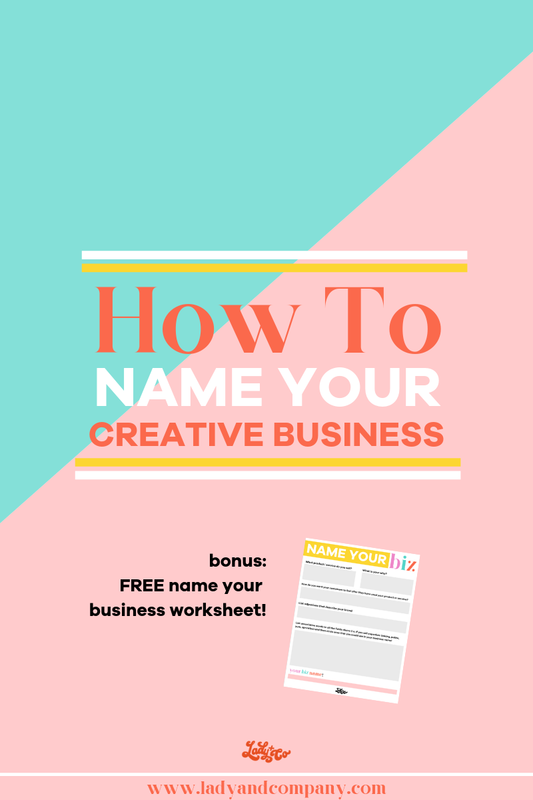 FREE Name Your Biz worksheet at the end of this post! I would bet that directly after the glimmering of an idea to start your own business popped into your head, you began thinking about what the heck you should name it. And maybe by this point, you've found a name you love but it has already been taken. Or, maybe, you just can't seem to find one that resonates with you and your mission enough to say, "That's the one!" Take a deep breath, babe. That's why you're here. You know that branding is super important and that a cohesive brand is probably even more so. But, did you know that your name (along with your why) is the solid foundation your build your brand on? Think about it: Let's take a look at a couple of different donut companies. Take Cafe du Monde for instance. These are the famous beignets (translated: donut) that we all know and love. But, even if you were new to the world of beignets, the name alone would give you french country vibes. So, as you would expect, their website is French themed right in the center of New Orleans. And in shoppe, the donuts are served cafe style alongside fresh coffee. Then on the flip side, we have Voodoo Donuts, another famous donut shop based out of Portland, OR. Now they aren't as sophisticated as Cafe du Monde, as I am sure you could guess by their name. 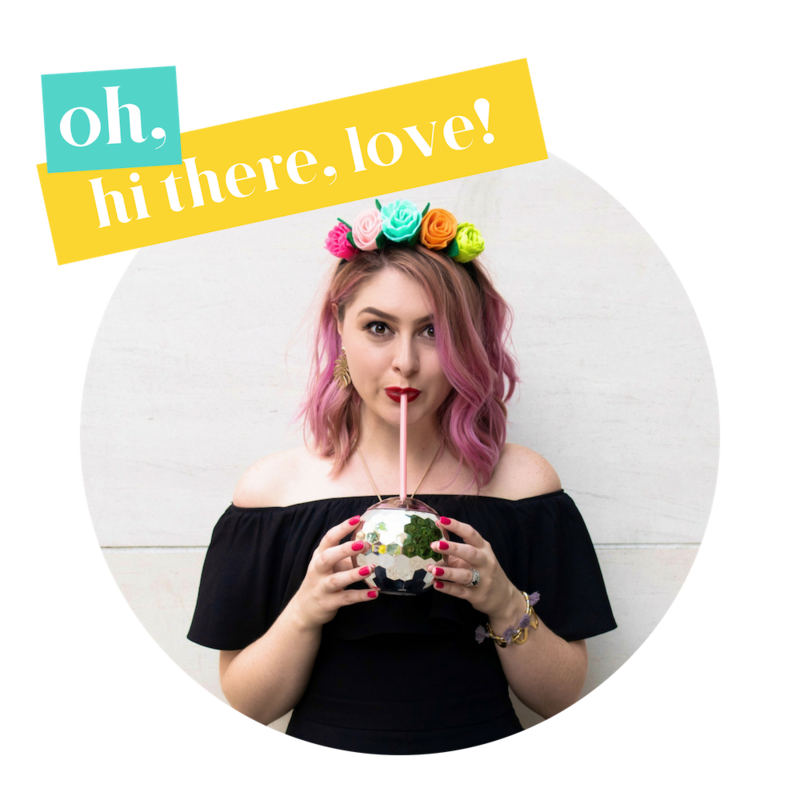 They are quirky, kinda edgy, and their vibe is a lot more... well, Voodoo. When you land on their site you see funky illustrations, a 'voodoo magic man' in their logo, and lots of creative donut flavors with off the wall names. While both the companies above sell donuts, they each have niched down so specifically that their brand speaks to different types of donut consumers. And, their names help to facilitate in that without us even having to step foot into their stores. Pretty cool, right? Alright, now you know why it's important. Now, let's actually get to the bottom of this naming your business thang. How to Name Your Business: What is the Purpose of Your Name? Before you can even begin to piece together a name, you first have to know what you want your name to exude. In other words, what information do you want your customers to get from your name alone. What is the purpose of your brand name going to be? -To tell them what you do/sell/provide? -To tell them who you are? -To tell them what to expect? -To get them to feel a specific emotion? -To evolve as your business grows? It can be just one of these, or a combination. But, the most important thing is that you know what information you want to give so you can create a name with intention. How to Name Your Business: Personal or business brand? Another thing to think of before you start brainstorming names, is if you are creating a personal or a business brand. This is when your entire company is centered around you personally. Coaches, teachers, artists, authors, speakers, etc are all areas where a personal brand will flourish. Typically, if you are providing a service, a personal brand will work just fine because you are personally providing the service. This is when you brand your business more around a product, a thought, or a feeling. These types of brands work well for product or service based businesses, or for those that produce a system or other "useable" item. 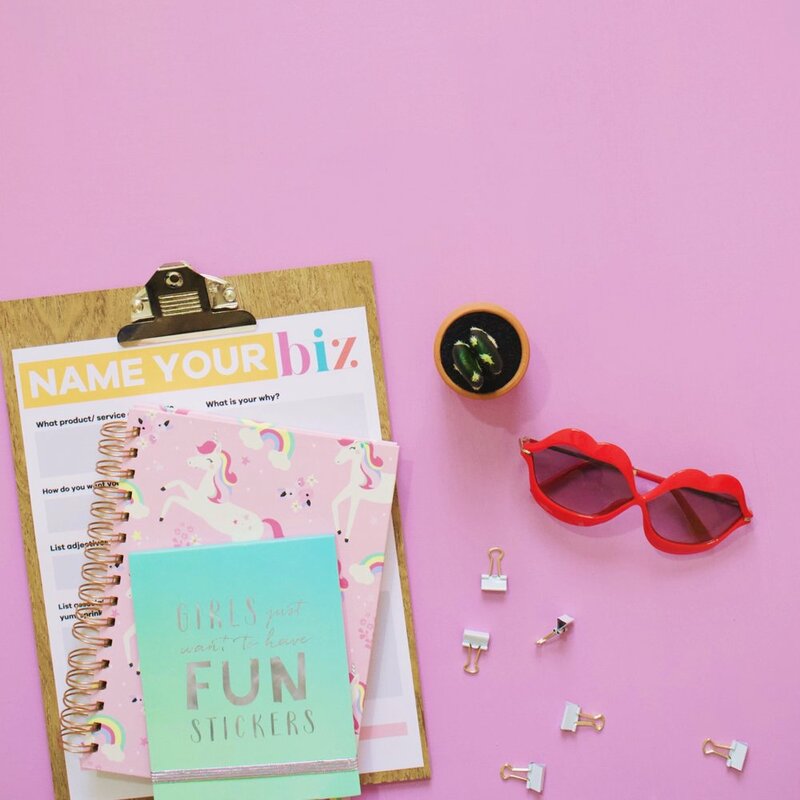 When you determine if you'd like to focus more on a personal brand or a business brand, you'll be one step closer to choosing a name. Personal Brands will include your personal name. Examples include: "Designs by yournamehere", "yournamehere- Business Coach", or simply "yournamehere". This way, you will be front and center of your business and your customers will know who to expect to deliver the service. **Tip: If you have a common name, try using a middle initial or a hyphenated version of your last name! Business Brands will with a name that doesn't include your own name. These are names like "Lady and Company Creative", "123 Designs", etc. But, there is a way to incorporate your name into a business brand as well. One of my favorite examples is Hey Jessica, she used her first name but didn't make it fully a personal brand because there are about a billion other Jessica's in the world. Brilliant. As always, when you're doing any form of branding, start by writing down you why. Really think about it, and meditate on how it makes you feel. Your why should be something your so super passionate about that you can just feel a fire burning inside you to make this thing happen. Then use your why throughout the entire naming process. Ask yourself after each step, "Am I still on track to stay inline with my why?" and if you are, move forward. But if you're not, take a step back and clear out some headspace for your why to be central in your branding journey. Now is the time to break out some notebook paper, the notes app, or my handy "Name Your Business" worksheet because we are about to get all brainstorm-y up in here. Is it a product or a service? Who are your creating it for? Why would they benefit from it? What are their pain-points and how does your product/service solve them? 2. How do you want your customers to feel? When they hear your name what feelings should arise? Empowerment? Adventurous? Playful? Each niche will have different emotions that come along with their branding, so focus on why your customer needs your product/service and how they should feel when they see that there is a solution to their problem through your brand. 3. What describes your brand? List out adjectives and emotions that are associated with how you want your brand to come across. Think of words that describe the "look and feel" of your brand. Take a look at your answers to the questions above and start to pull out words that really speak to you. 1. I sell donut holes in a boutique style cafe to a similar demographic that purchases macarons. 2. I want my customers to feel happy, child-like yet sophisticated, and indulgent. From these answers, you can start to pull out specific words that resonate with exactly how you want your name to come across. Words like: boutique, indulgent, happy are ones that may jump out at you. Then, do the Name Your Business (NYB) Brainstorm Technique. Use the words that jumped out at you and start to list out other words that associate with those descriptive words from above. Then, circle words from those lists that stand out to you. While naming your business is important, it doesn't have to be scary or even hard! The Name Your Business brainstorm technique will make naming your biz a breeze, for sure! -And create a name from those words! Oh, and download the worksheet. It'll make this process even simpler!